New Delhi : Disgruntled Janata Dal-United leader M.P. 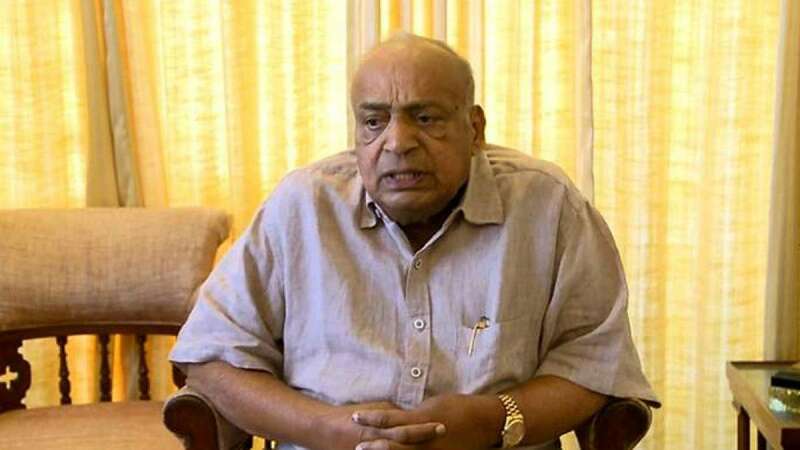 Veerendra Kumar on Wednesday resigned from the Rajya Sabha, days after rebel JD-U leaders Sharad Yadav and Ali Anwar were disqualified from the Upper House. Shrivastava said Veerendra Kumar, who was elected to the Upper House from Kerala last year with support from the Congress-led UDF, resigned "so that no one questions his integrity that he is aligning with (Baihar Chief Minister and JD-U President) Nitish Kumar". Veerendra Kumar was the chairman of the JD-U's Kerala unit. Nitish Kumar's decision to break away from the Grand Alliance with the Rashtriya Janata Dal and the Congress in Bihar and align with the BJP-led NDA in July this year triggered rebellion in the party. JD-U's founder leader Sharad Yadav led the rebel faction to protest Nitish Kumar's decision. He was disqualified from the Rajya Sabha along with Ali Anwar on December 4 "on ground of defection rules".